If you don't know what to email your list, this book will give you 87 specific ideas of what to do. Each email idea is categorized based on the phase of the marketing process including on-boarding new customers, launch day tactics, and the techniques you need to getting people to join your secretive "street team." Input your email address below and I will email you a copy. 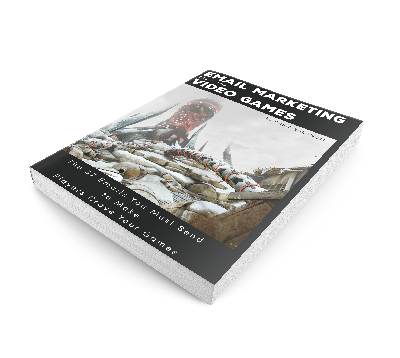 I will also send you an email once a week with tips on how to improve the marketing of your video games.